Stand out of the crowd with this gorgeous silver feather statement necklace. 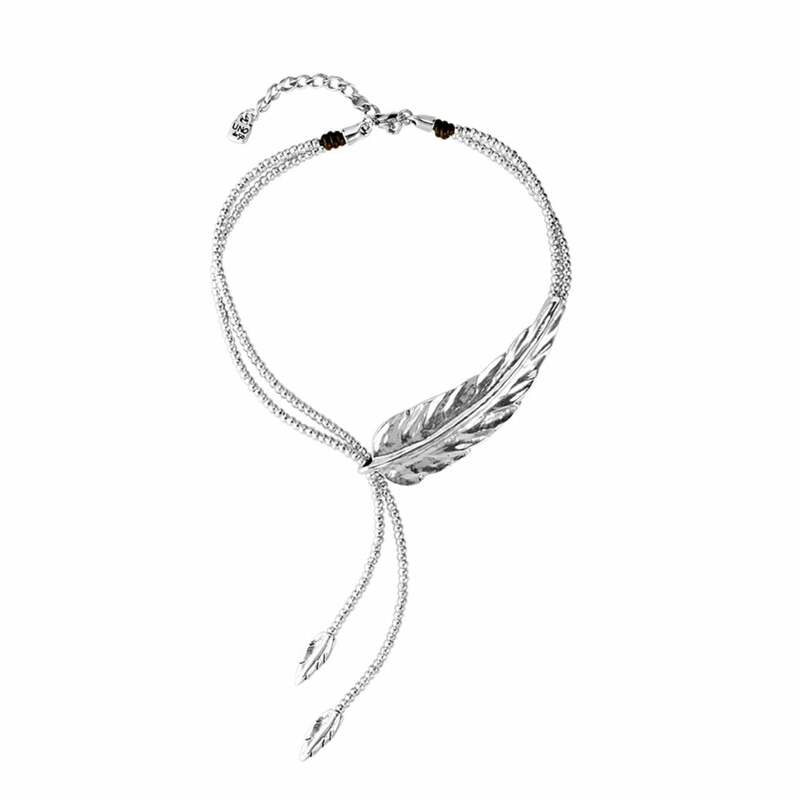 One large feather takes pride of place across your neck with two small feather details. A great statement necklace to pair with the feather wrap rings from the Uno De 50 collection.